Quality and Dedication. Compassion and Respect. Prompt and Courteous. After three major flooding events in five years, including Hurricane Harvey in August of 2017, the decision was made to locate and acquire a vehicle that could navigate disrupted roads and flooded areas. 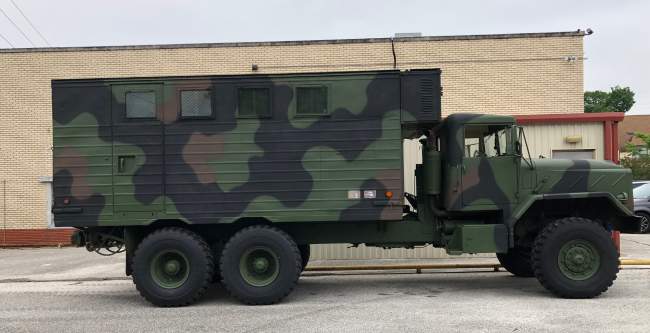 An overhauled and refurbished A M General M934A Expansible was located in Wisconsin, purchased by Twinwood's owner, and trucked down to Houston. The M934A is a 5-ton 6x6 with a fully enclosed box. It runs on 48" tall tires and can operate in over 4' (feet) of water if necessary. 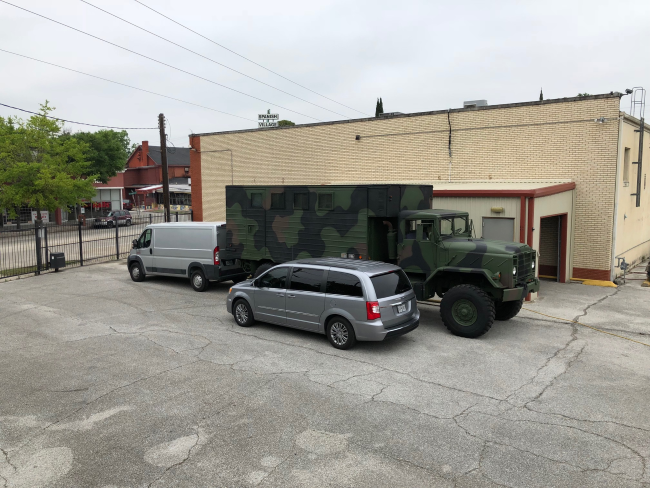 The truck is powered by a 14 liter diesel engine and can operate in 4x6 wheel drive (both rear axles), or 6x6 wheel drive (by engaging the front axle). At 4-5 mpg, and with tires costing $800 or more apiece, the M934A is expensive to operate. It will stay in the Southeast Texas region ready to serve when disaster strikes. The services of the M934A are available to out-of-town Funeral Homes and to Southeast Texas Funeral Homes that have an established relationship with Twinwood Mortuary Service. The M934A has its own price list. Due to high operational costs and the dangerous conditions it will operate in, prices are higher than normal removals. Click here for the price list.